I’ve been writing so much the last few month it seems odd not to have a WIP in process… well I do have a few but nothing urgent. 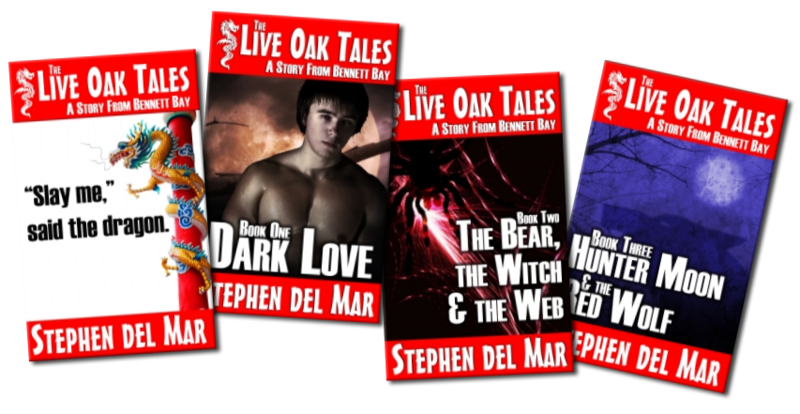 I spent the day rebranding “Slay me” and “Dark Love” to be part of the Live Oak series and finished up the covers for the other two. I’m still futzing with the cover for “Cooter Crossing,” just can’t seem to get the title text right. The next project I have in mind is a break from Bennett Bay. 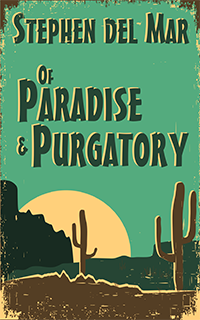 I’m going to head out to Arizona for “Of Paradise and Purgatory.” We’ll see how that goes. It’s looking to be more autobiographical than anything I’ve written. Not sure how I feel about that. May need to have a little sit down with my Muse and see what he thinks he’s up to. Well, that’s what I’ve been up to. Still need to write blog post for the Hop Against Homophobia and Transphobia and something about RainbowCon. Yeah, that’s what I was supposed to be doing today. Sigh. PS: Remember if you sign-up for my newsletter, I’ll seen you one of my books for free (Kindle edition). That includes to be released books.